When the review came up for Apologia’s iWitness series, I knew that I wanted the opportunity to take a look at these books. I am always on the lookout for materials that will help me show the girls the truth of the Bible and that all that is found within it is truth. I was really hopeful about these materials, though I wasn’t sure they were on the best level for the girls. I wasn’t disappointed in the iWitness series. Do you know about Homer’s Illiad? Is it real? What about Plato? Did his writings exist? Caesar’s Gallic Wars? Sophocles? How do you know? Do you doubt their authenticity? Why not? 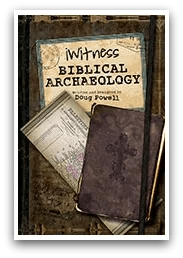 The iWitness series, written and designed by Doug Powell, takes the reader on a path documenting the history and authenticity of the Bible, using historical documents, photographs, images, archaeological finds and other facts supported by science, culture, and history. 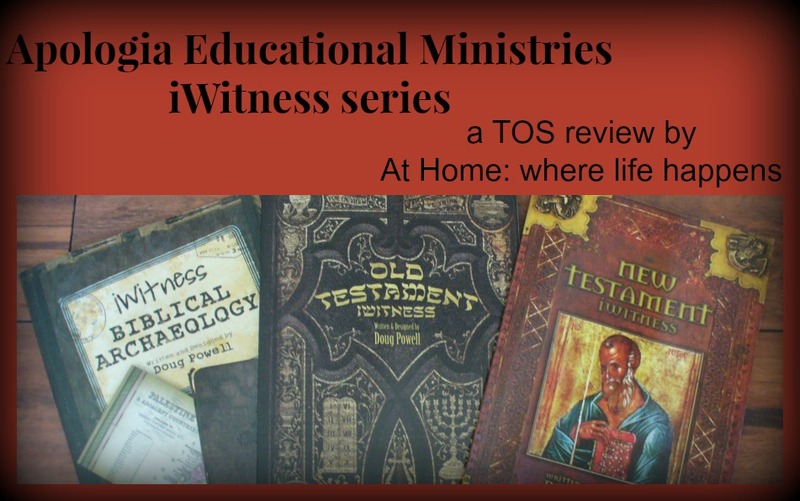 Let’s take a look at each of the three books, beginning with the one I felt was easiest to follow: New Testament iWitness. The New Testament is the teachings of Jesus and his apostles, the men who were with Jesus here on earth and were eyewitnesses to his teaching, healing, prayer, mistreatment, death, and resurrection. These teachings are the foundation for Christians around the world, showing by example worship, praise, prayer, and more. 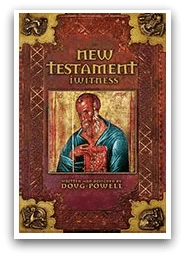 The New Testament iWitness brings the reader along to understand the process by which the New Testament came to us today. The authority of the books, how each of them was included, and how ancient documents and historians support the scripture as truth are all included. I was fascinated by the discussion about the age of the books of the New Testament and how they have been traced back through history. The discussion included the differences in copies of the texts, how those occurred, and why they don’t make an appreciable difference in the text and purpose of the New Testament. This is helpful and gives the understanding needed to be able to take a stand on the truth of the Bible. 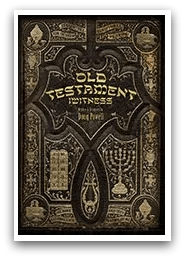 Old Testament iWitness was a bit more difficult to comprehend and absorb. There are many words relating to the Old Testament, Jews, and other cultures and their documents that are discussed and defined in the book that, for me, require daily use and handling to comprehend and truly understand. The differences and uses of the Old Testament, the Torah, the Hebrew Bible, the Septuagint, and Tanakh are just a few examples of the things I struggle to understand the relationships of. There are many discussions that help to support the dating and placement of the Old Testament, including defining covenants in the Bible and examples from non-Biblical history that support the form of covenants shown in the Bible. Mr. Powell goes through each of the books included in the Old Testament, talking about the title, additional names it is known by, date, writer, and purpose. This was an interesting section to read through. As the Old Testament is followed by the New Testament in the Bible, Mr. Powell does not close it out without discussing the relevance of the two testaments to each other and including a timeline of Old Testament people and important events. Many of the people and places mentioned in the Bible have been lost in history for a long time. That is changing, though, as archaeologists look for, and find, support for what is found in the Bible. iWitness Biblical Archaeology is written as a path for the reader to follow. It comes across as a neutral study of archaeology findings. The statements of fact are presented and the reader is expected to connect the dots and follow where they lead. Mr. Powell has given us some highly interesting information, though it is somewhat difficult to follow. Supported by images of ancient documents, archaeological finds, pictures, and other writings, various parts of the Bible are given scientific support. Some of the discussions are simply to show that what is in the Bible is accurate, such as a boat that has been uncovered and dated to the time of Jesus. Other discussions lead you to understand that while different cultures don’t necessarily agree on exactly what happened at a particular time, such as the flood recorded in Genesis, most of them agree that something happened as it is clearly documented in the written, drawn, and/or oral traditions. Some names of kings or rulers in the Bible were not found in secular history until recently, but now science and history are agreeing that these rulers recorded in the Bible did in fact rule and in the time the Bible records. These are the types of documentation that Mr. Powell shares in this book. This book was mainly used by the adults in our family. Apologia recommends them for ages 11 and up. I do not agree with this at all. These books were not easy to read. They required a lot of thought, a lot of follow up, and a lot of prior knowledge. I think that an age of 15 and up might be more appropriate. 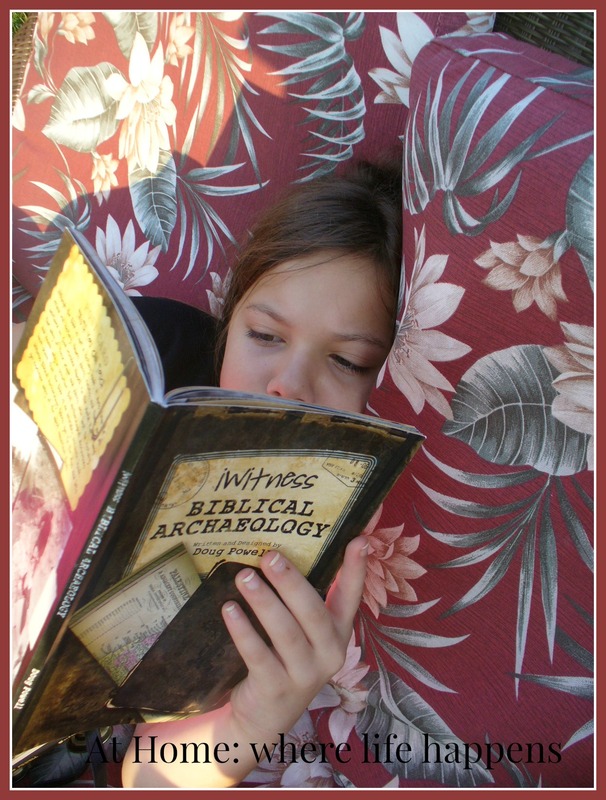 The 10 year old giggly girl was able to read some of the Biblical Archaeology book and understand a bit of it but I was reading right beside her, directing her to specific passages to read, and discussing what Mr. Powell meant with some of what he wrote. We also had a Bible right beside us to look up any passages included. She is an advanced reader for her age (reading around a 10th or 11th grade level) and these books would have been a major struggle for her. We have been able to use information from them in some of our Bible discussion and I have used some of it in the Bible class I teach on Sunday mornings. 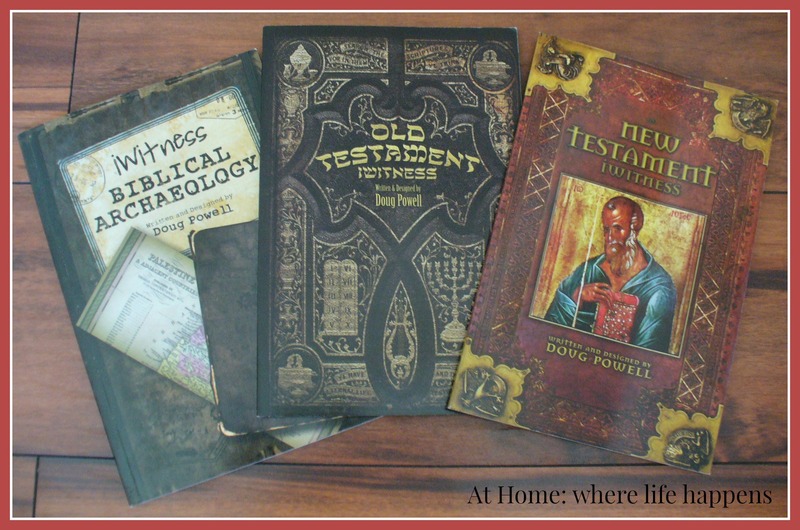 All three of the iWitness books are written and designed by Doug Powell. Mr. Powell is a graphic designer and you will recognize that when looking through these books. For me, that actually was a drawback of the materials. They are beautiful to look at but the interaction between design, the written materials, and the photographic/image materials all interwove in such a way that I was not always able to discern the intended materials without difficulty. It looks as though the chosen font and the set up of the images on the page are intended to make one think of ancient manuscripts and images. While it does that well, the important material tends to get lost on the page or become difficult to follow. I can see that these would be visually appealing to teenagers and young adults but the importance of the material is lost in the process. I do not take lightly that I am responsible for the material I place before my children and my readers. If I am presenting something Biblical, I need to be absolutely certain that it is full of truth and only truth before I recommend it. I feel it is a shortcoming of these materials that it required some work to discern that the material is accurate and does not lead anyone astray. While there is an included bibliography and a list of images and their origins, I did not have access to all of the materials. Even if I had, there are no footnotes or citations to know which resource to look in to support and clarify the information. I went to a trusted and knowledgeable person who understood more about these topics than I do to be sure that the information included was accurate and true. Please do the same if you have any questions. Find someone you trust and who has a background to be able to discern the truth and ask them to go through the material with you. These books are available from Apologia Educational Ministries. Each book sells for $14.00. These books will remain in our home and on our shelves for our use. We desire to have quality materials available to the girls when they need them, though these may not get a lot of use for a few more years. At Home. 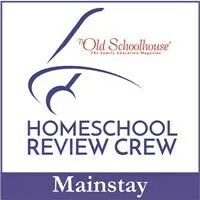 If you are interested in what others had to say about these same books, please visit The Old Schoolhouse Review Crew. Excellent review. I really appreciated your direct and honest comments.